How can you manage after a heart surgery? After the surgery, patients tend to slow down their regular pace of life drastically. Several patients I have seen are people who hold very senior positions in big companies. They sit through meeting after meeting, mentally working; very hard but physically inactive. When they return home at the end of the day they are tired and say, "Oh, I am a heart patient, now I must rest". They recline on a bed or sofa have dinner served to them, watch TV and go to sleep, Their physical activity is just a 30-45 min walk in a 16 hr day. Their metabolic rate drops very low and they put on a lot of weight as well. This is very dangerous and more blocks may occur. We recommend that you keep yourself active throughout the day. 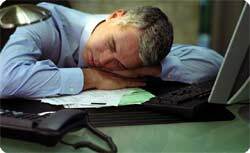 Get up and move about in your offices try to do your own little jobs like fetching your own water, going and answering the phone or door bell, engaging in outdoor activities like gardening, golf, sight seeing etc. 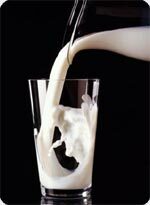 Milk is the richest source of calcium supply in the Indian diet and a very important source of protein too. Besides this, it provides fluid and a number of B vitamins. Therefore, if you suddenly cut it out of your diet, you are bound to feel weak, there will be muscle loss and your bones and teeth will become brittle. So please consume at least 2 c of skimmed milk daily. However, you need to clean out your diet for at least the next 2-3 months of all fatty foods like cream of milk, butter, ghee, cheese, paneer all fried items like chips, samosa, mixture, pickles, biryani, all nuts, coconut chutney, rich bakery items like pastry, puffs, mitai, chocolates, ice creams and fatty meat dishes. If you strictly avoid these items for 2/3 months, you will see your ;blood cholesterol and other lipid levels come down remarkably. Your weight too will come down and then you can be on a maintenance programme where you may eat some fatty items once or twice a week. And last but not the least, my 2 favorite tonics, walk and water. A 20-30 min walk is basic and essential for every heart patient or otherwise. It does wonders if you could manage to do a 30 min walk mornings 5 days a week and 20-30 min walk every evening 7 days of a week either after work or after dinner. We see that 2 shifts of exercise does wonders for weight reduction as well as for BP, diabetes, high cholesterol or tri glyceride and heart disease. Everybody should drink at least 8-10 glasses of plain water (apart from juices, tea and coffee) if your doctor advices less water, then his instructions should be followed.